Haloti Ngata, one of the most dominant defensive linemen of his era, scaled new heights to announce his retirement. In an Instagram post, Ngata stood on top of Mount Kilimanjaro -- the world's tallest free-standing mountain -- with a banner that read, "I'm retiring from the NFL on top." 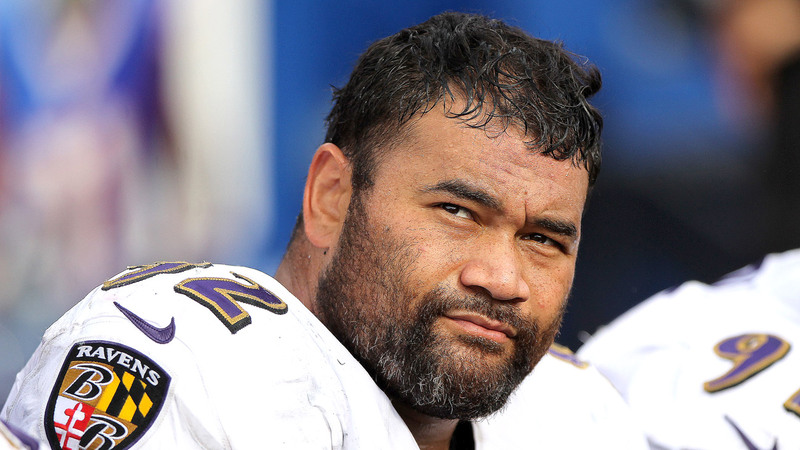 Ngata, 35, went to the Pro Bowl five times and won a Super Bowl with the Baltimore Ravens in February 2013. Selected No. 12 overall by the Ravens in 2006, Ngata established himself as a force inside with his size, power and athleticism. Over the past 13 seasons, Ngata was the only defensive tackle to record over 500 tackles, 30 sacks and four interceptions. With the 6-foot-4, 340-pound Ngata causing havoc in the middle, Baltimore ranked in the top five in run defense in seven of his nine seasons. Ngata will be remembered as one of the best defenders in Ravens history and will likely go into the team's Ring of Honor. He played for Baltimore from 2006 to 2014 before being traded to the Detroit Lions (2015 to 2017) and finishing his career with the Philadelphia Eagles (2018). He had 17 tackles (four for loss), a sack and three quarterback hits over 13 games in 2018. He missed three games in October with a calf injury but otherwise was a regular presence in the middle next to standoutFletcher Cox, starting nine games and playing 35 percent of the snaps. Ngata was playing some of his best football in 2018 at the end of the season. In 2006, middle linebacker Ray Lewis vented his frustration about not having space-eating defensive tackles in front of him who would allow him to roam free. Nine days later, Baltimore traded with the Browns to move up one spot to draft Ngata. From rumbling 60 yards on an interception return in his NFL debut to breaking Ben Roethlisberger's nose in 2010, Ngata made it known that he was different from most defensive linemen. Former Colts center Jeff Saturday once referred to Ngata as "an absolute monster." In 2010, Ravens linebacker Jarret Johnson said, "You couldn't build a more perfect football player. He has smarts, work ethic, strength ... you could go on and on. There's a lot of big, powerful, strong guys in this league. A lot of them are jerks. Some of them are lazy. You don't find a lot of 350-pound guys that are energetic." ESPN's Tim McManus contributed to this report.